From 1924 to 1979 Ditton Park, Slough was a place of remarkable scientific innovation and invention. At the forefront of radio research and ionospheric theory, the early Radio Research Station established a reputation for producing high-quality research from a dedicated and enthusiastic scientists, including Sir Edward Victor Appleton and Sir Robert Alexander Watson-Watt. This was a reputation the Station maintained through the years as they communicated and collaborated with scientific institutes within the United Kingdom and worldwide. 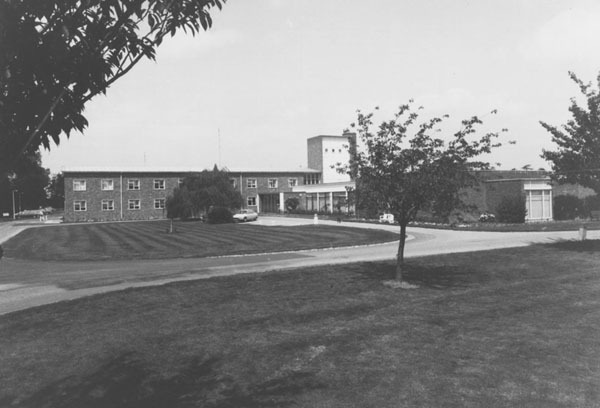 In the late 1950s, the Station recognised that its future would be involved with space science research, an important and exciting area of work that it had the expertise to contribute to. The scientific advances were reflected in the expansion of the site with buildings to accommodate new facilities, equipment and the increasing number of staff. 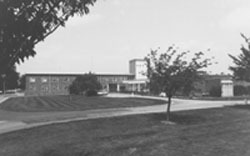 In 1979, the Appleton Laboratory as it was then known, merged with the Rutherford Laboratory at Chilton in Oxfordshire to become the Rutherford Appleton Laboratory. The world-class research in space science continues to the present day at Chilton, but for fifty-five years, Ditton Park was an inspiring and esteemed place of scientific work. To learn more about the history, visit the timeline and newsletter articles pages. Illustrated timeline of the key events of radio research at Ditton Park. A series of nine articles featured in the Radio Research Organization monthly newsletter in 1961-62. The articles describe the history of the Radio Research Station from 1920 to 1960 including important events, scientific developments and personal memories. North Park of the Radio Research Station. Ditton Park, Slough. c.1927. Appleton Laboratory. Ditton Park, Slough. 1978.